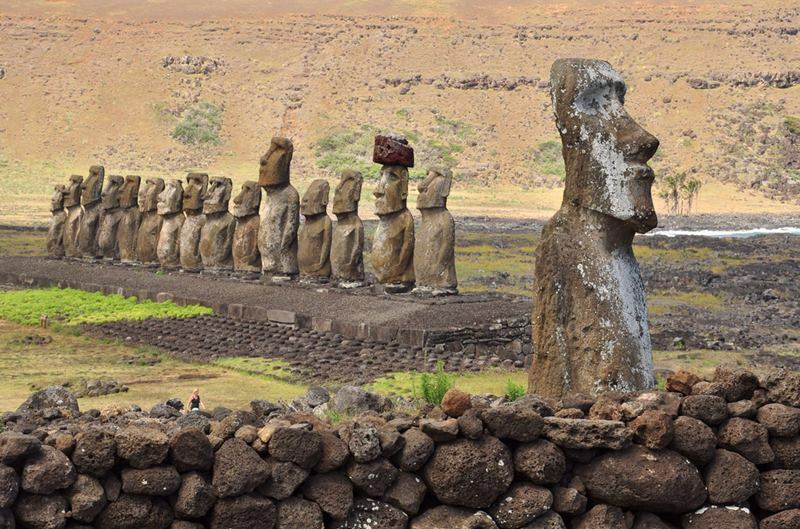 The Moai, huge sculptures shaped human head, the main tourist attraction of Easter Island, Valparaíso Region, Chile. 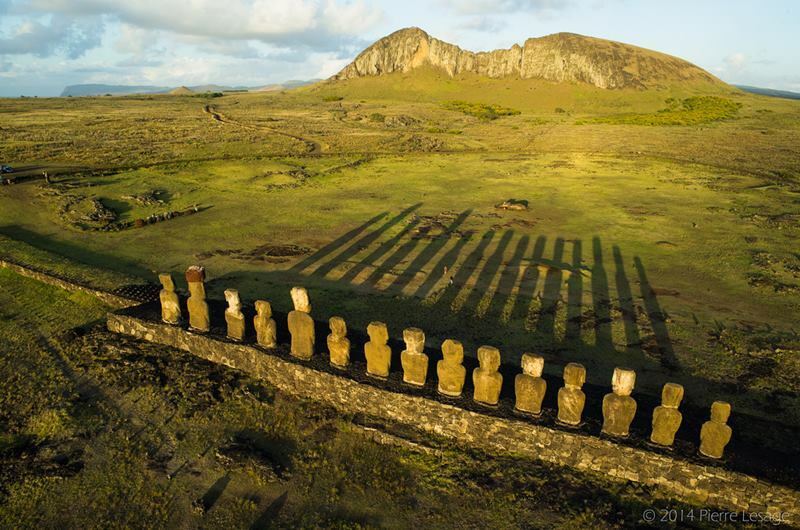 Easter Island has several settlements called Ahu "Altars", where a group of more or less numerous Moai meets, but always perfectly organized and looking in the same direction. 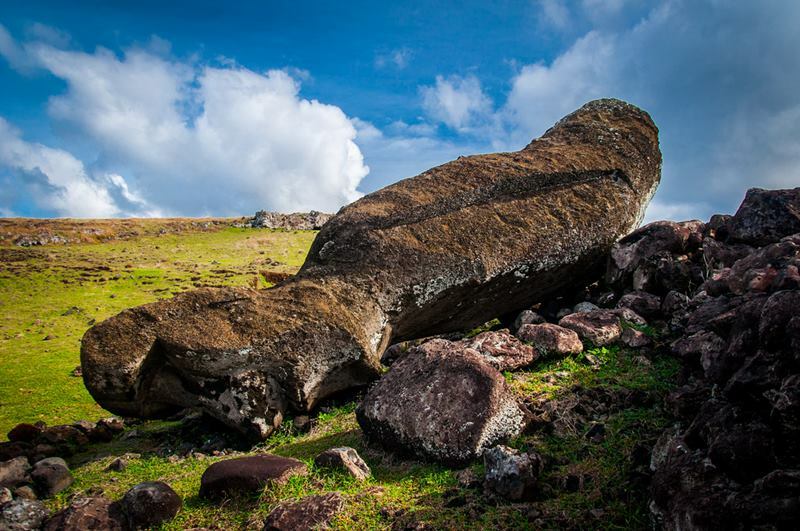 Ahu Tongariki is the name of the settlement largest moai in terms of size and situation. 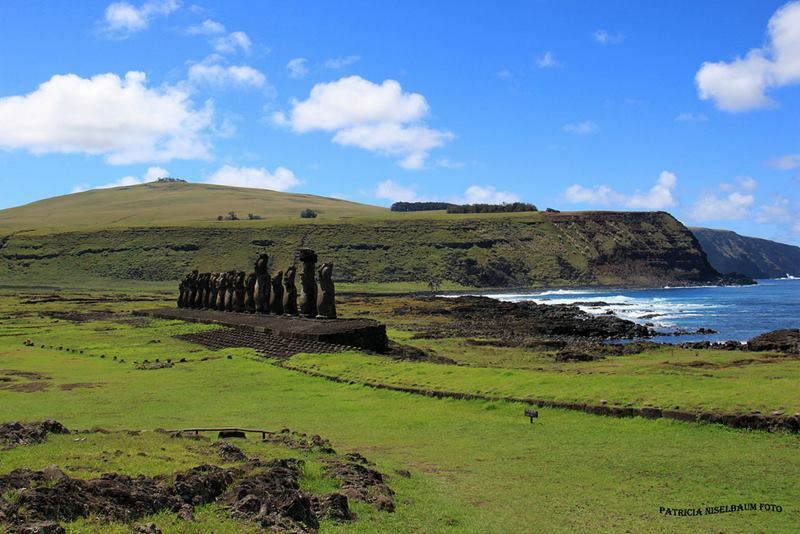 Ahu Tongariki is located on the east coast of the island, about 20 kilometers from the capital Hanga Roa, between the coves of Hanga Hanga Hotu Iti and Nui. 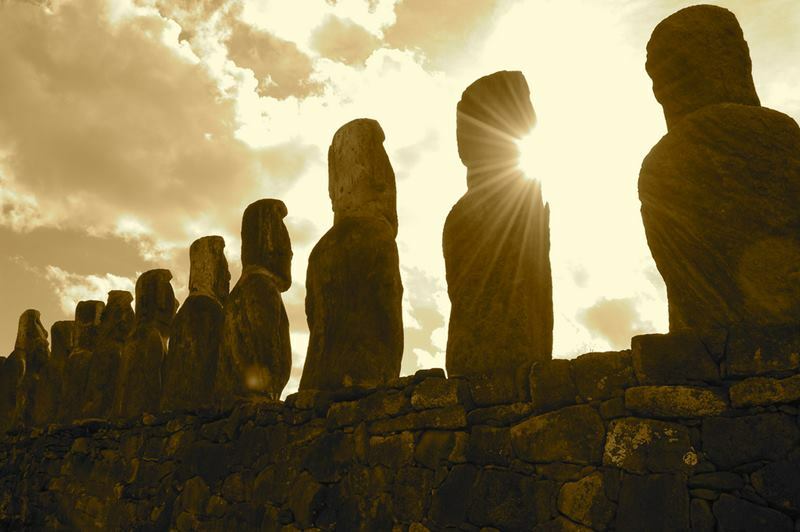 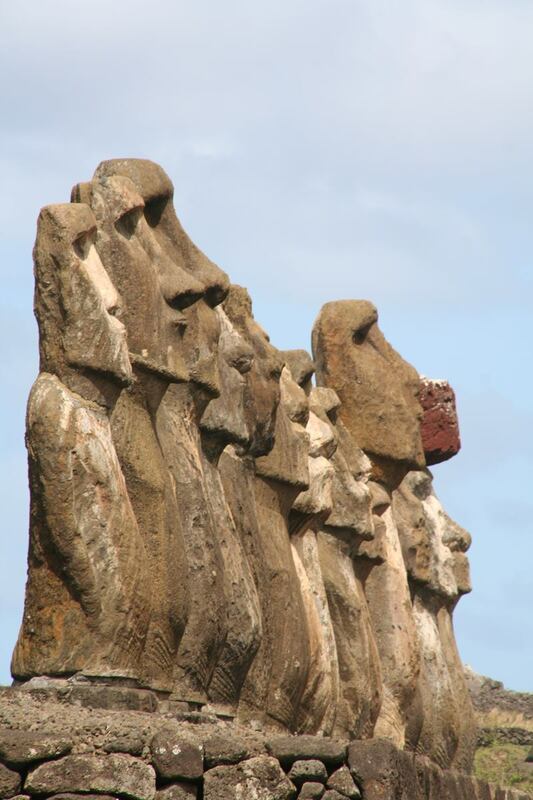 Ahu Tongariki is an altar, one composed of 15 figures aligned parallel to the coast, stand with their backs to the sea, as virtually all of the island Moai facing the center of it. 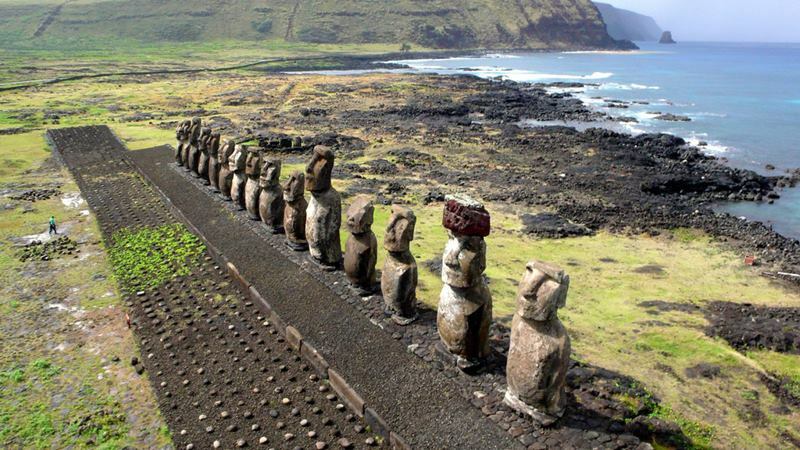 Currently Ahu Tongariki is considered the largest ceremonial center of Easter Island and even the largest of all the islands of Polynesia, and also one that has greater diversity because the statues are totally different from each other or in another words it different sizes, different thicknesses, etc. 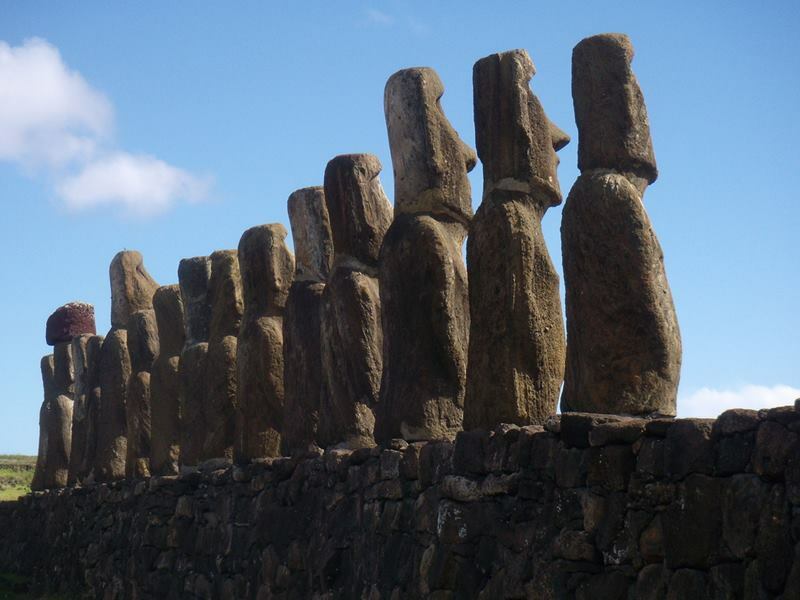 and representing various types of ancestors who inhabited the island centuries ago. 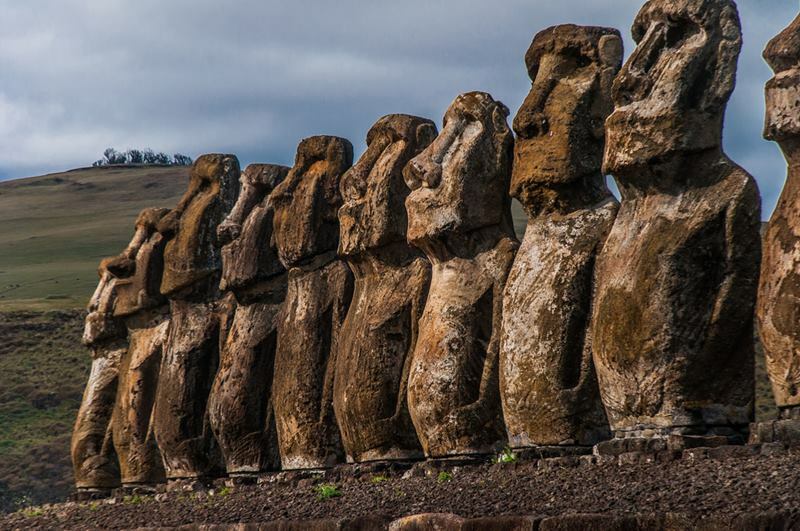 As a historical note, note that in 1960 the area was devastated by a tsunami caused by an earthquake in the Chilean city of Valdivia. 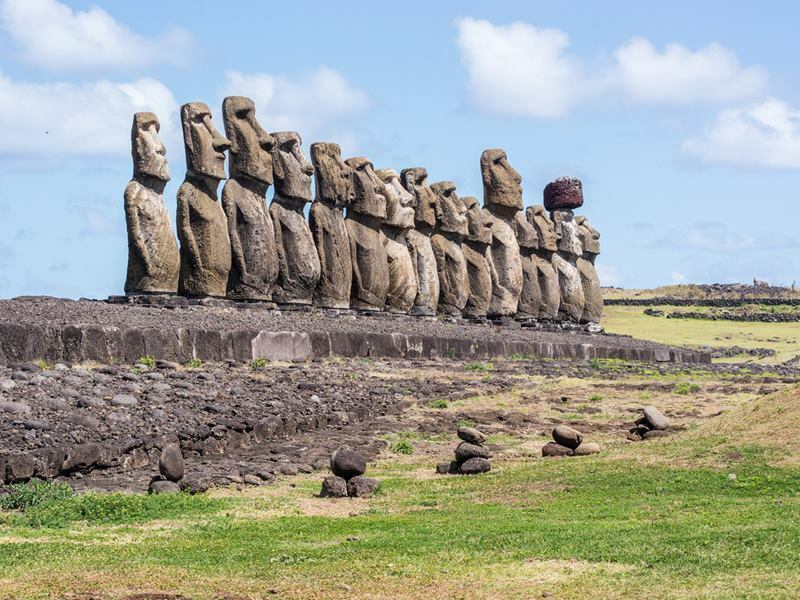 Most of the statues were completely buried under sand and remained for more than three decades until between 1992 and 1996 the restoration works were undertaken place. 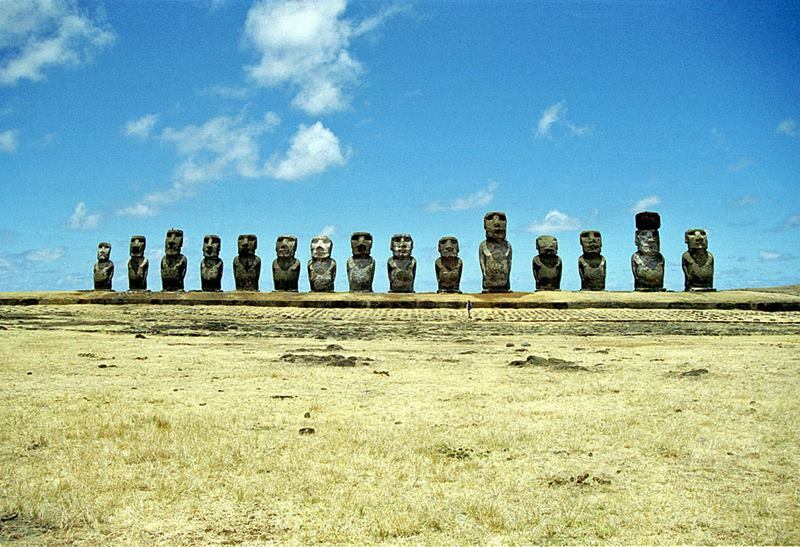 The 15 Moai were exhumed and returned to its original position, but only one of them was able to return the "hat", since the rest were badly damaged and are at serious risk.